Reputed to be the easiest of the available routes, this is without doubt the most comfortable in terms of facilities and the most convenient in terms of access. 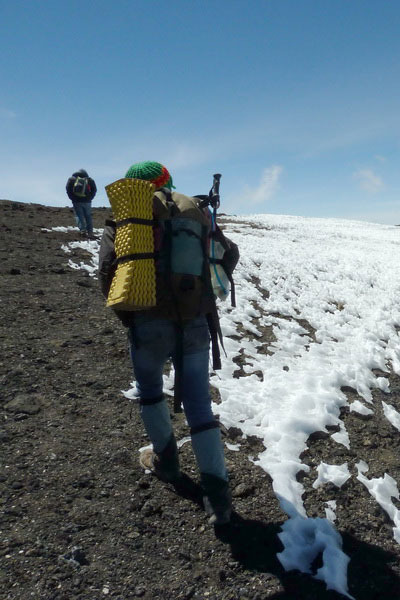 Also known as the "Coca Cola Route" because of its practicality, Mount Kilimanjaro's Marangu Route is by far the most popular route for many climbers because it is the most comfortable and convenient. This popularity has led to some operators preferring to avoid it due to its non-exclusivity in the National Park Huts; also to the overcrowding of the path. However, because of the lack of camping equipment required and therefore lower porter-age costs, it remains popular with budget travelers. After breakfast you will be collected from the lodge and transferred to Marangu gate. The actual hike begins at the Marangu Gate (1800 m). Hike 3 to 5 hours through a fascinating rain forest to Mandara Hut (2700 m). Blue monkeys are sometimes seen. Look for a tiny flower called Impatiens Kilimanjaris; endemic to Kilimanjaro. Hot lunch en-route. 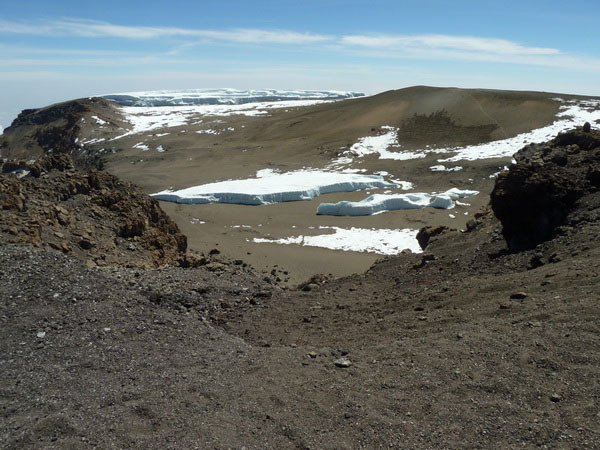 If you wish you can hike up to Maundi Crater (45 min) or rest upon arrival at Mandara Hut. Afternoon tea, dinner and overnight at Mandara Hut. Weather: warm and humid. Wear T-shirt, shorts and lighter shoes. Water: available the whole time from a river along the route. After breakfast start hiking slowly to Horombo Hut (3700 m). Leave the last glade of forest and follow the gently ascending path through the open alpine moorland. Today’s hike takes 5 to 7 hours. Hot lunch en route. The altitude begins to make itself felt cautioning you to walk slowly. “Pole pole” (slowly slowly in Swahili) is the order of the day while enjoying the flora and long view. Giant Senecios stands tall along the path. Kibo and Mawenzi Peak can be seen on a clear day. Afternoon tea, dinner and overnight at Horombo Hut. Weather: warm in the morning but cooler in the afternoon when clouds gather. Wear shorts, T-shirt and hiking boots. Carry a long sleeved shirt in the day path for the cool winds. Water: fill water bottles at Mandara Hut. There is a stream half way to Horombo Hut. 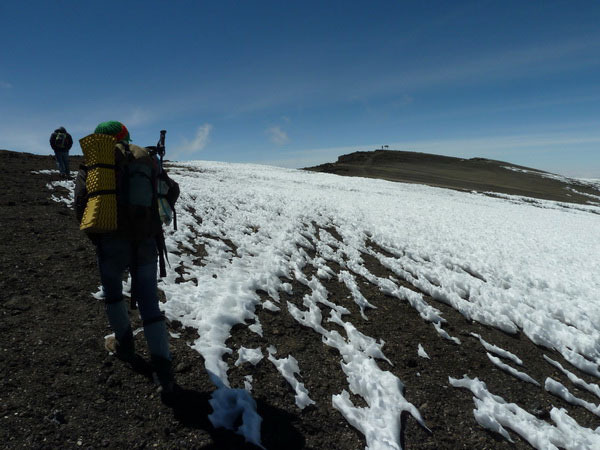 Today leave moorland and enter the alpine desert past giant lobelia and walk on the saddle between Kibo and Mawenzi Peak. Hot lunch along the way. Afternoon tea, dinner and overnight at Kibo Hut. Weather: It is cooler as the altitude has increased. Wear trousers and long sleeved shirt. Thin jacket or jumper in the day pack. Water: fill up bottles at Horombo Hut. 2 hours from Horombo Hut is the last water sign. The porters will bring water for tea and the hike in the early morning. Hike back to the Marangu gate and park's headquarters. At Marangu gate you sign your name and details in a register. This is also where successful climbers receive their summit certificates. Those climbers who reached Gillman's Point are issued with green certificates and those who reached Uhuru Peak receive gold certificates. 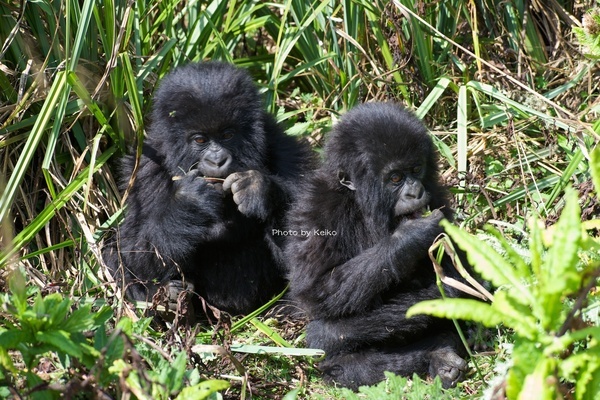 Meet by a driver guide with packed lunch and drive back to your hotel in Moshi. After breakfast transfer to the airport for your home bound flights. 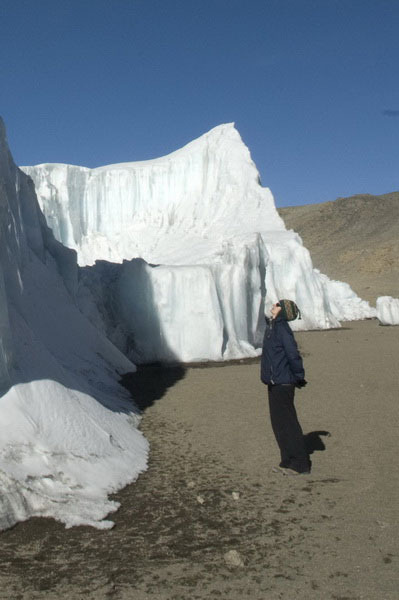 An extra day is offered at Karanga to acclimatize to the higher altitude. Karanga Camp. 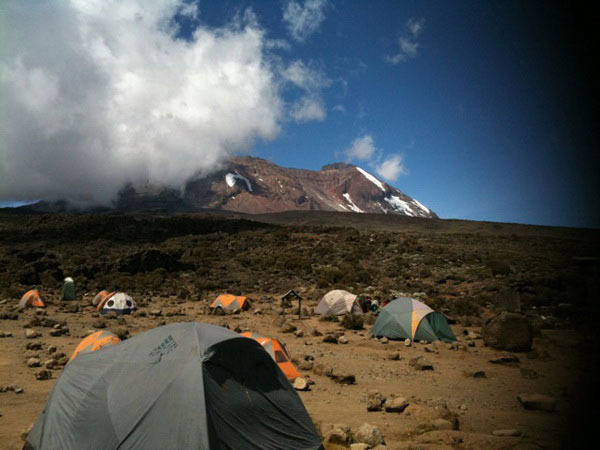 It will be spent hiking to Karanga Camp, which is on the same altitude as Barranco Camp. You will encounter a bit of a climb at Barranco Cliff and spend the rest of the trek climbing up and down the slopes of the mountain most of the way to camp. The climbing is not considered difficult and you should arrive in time for lunch (approximately 1pm) having trekked for about four hours. In the afternoon you have the opportunity to hike in the Karanga Valley where giant senecios and lobelia grow; however, you are well advised to rest as much as you possibly can to prepare you for the climb ahead. Dinner and overnight at Karanga Camp. Climbing equipment such as clothes, sleeping bags etc. All other expenses resulting from early descend before the completion of the climb such as transfer, extra nights etc. 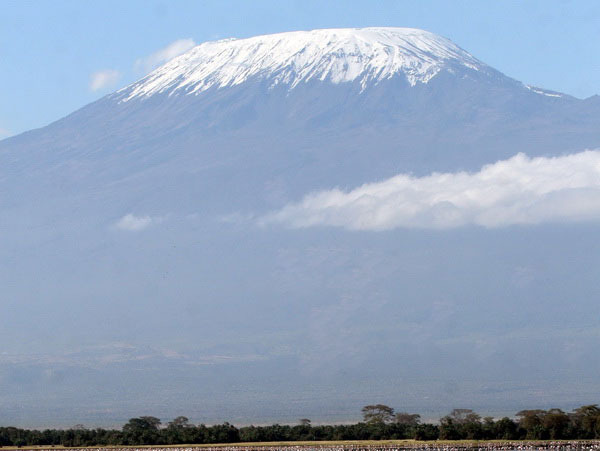 Notes: Our services start/end up with a pick up/drop off Kilimanjaro airport or Arusha. There’s a long, dry winter and a green season with two rainy periods at each end. December, January, February and March are the warmest months, with clear mornings and evenings, and clouds building during the day that occlude the summit in the early afternoon hours. The predictable patterns of weather make it a good time to climb. The longest and driest season runs from mid June to mid-October. During this time it can be very cold at night. 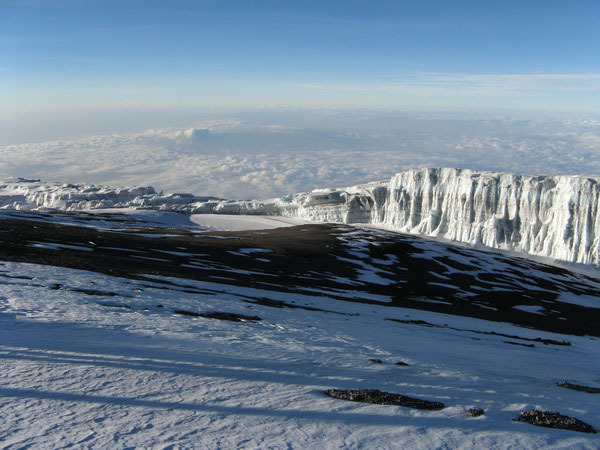 During Kilimanjaro’s “winter,” there is a persistent dripping belt of clouds girdling the whole mountain above the forests and the moorland contour, leaving the summit and a few other distant peaks poking through. Above the clouds it is usually clear and dry, and thus is one of the best times to plan the trek. In late October, the clouds finally give way to rain, and until the middle of December, the mountain is shrouded in heavy clouds, with persistent showers from base to summit. The best months to ascend the mountain are January, February, August and September. Avoid climbing during the April-May heavy rain season, and November (the short rains) if you can. It makes a huge difference to take extra days. 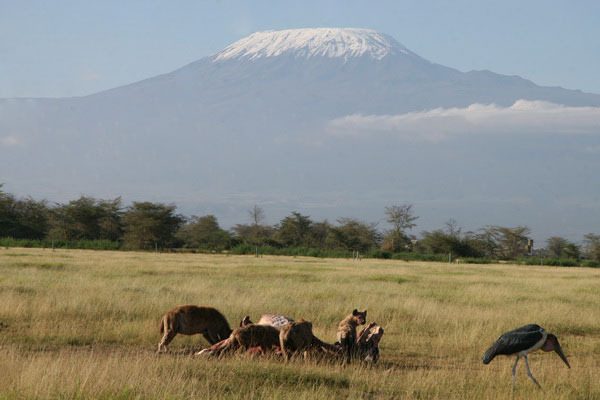 On Kilimanjaro, there are six park gates and approach routes, and three routes to the summit. There are ultimately about 30 different route combinations which are possible. Again, I recommend taking as long as possible to acclimatize. There are only three routes to the top - the least traveled (and most difficult, and beautiful) of which is the Western Breach, a 1,000 meter steep scramble from camp at 4,900 m (Arrow Glacier Camp) to the crater rim, then another hour onward to the summit. The other two routes to the top; Marangu and Mweka, lead up the more gently (relatively) sloping east face, trudging through scree on thousands of switchbacks. These latter two receive a high percentage of the foot traffic vs the Western Breach. 1. Umbwe Route- the most challenging route, both in terms of terrain and grade. Usually done via the Western Breach. 2. Machame Route- is the most popular camping route, and usually takes 6 days to the top, via the east facing Mweka route to the crater rim. It's also quite pretty and rugged. Better done in 7 days. 3. Lemosho Glades- starting from the west side, and begins very gently then ascends onto the great expanse of the Shira plateau, from 3,500m to 4,000 m. This route can ascend up either the Western Breach or the Mweka Route to the crater rim (which averages about 19,000 feet. 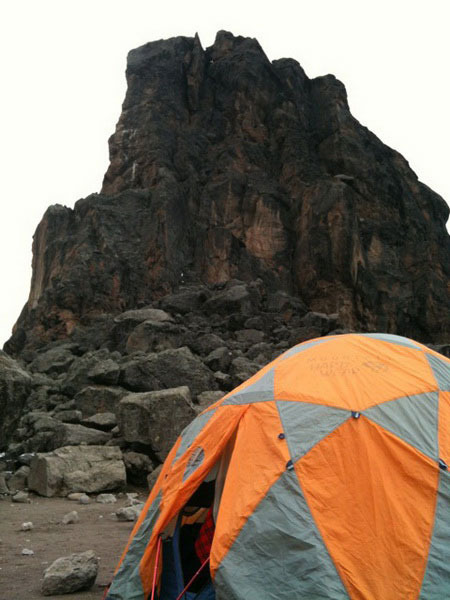 The high point along the the crater rim is Uhuru Peak, at 19,340 feet (5895 Mt.). Treks from the Lemosho trailhead or Umbwe Gate must pay an extra fee to account for a forest department tax. Usually done in 8 or 9 days, with our without Crater Camp. 4. Rongai Route – An approach from the dry northeast (Kenya side), then into the Saddle, and up via the Marangu Route to the top. 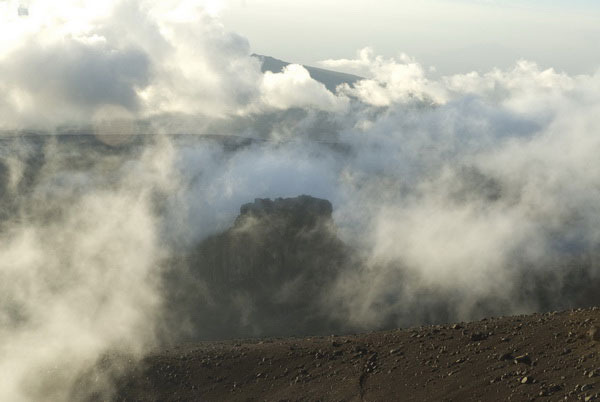 Best done in 7 or 8 days, to be able to experience the great saddle between Kibo and Mwenzi volcanoes. 5. Mweka Route – Used primarily as a descent route. Very direct (only 3 camps en route to the summit!). Not recommended for ascent. 6. Shira Route – This is in fact a road used for emergency rescue vehicles which can drive out on to the Shira Plateau. 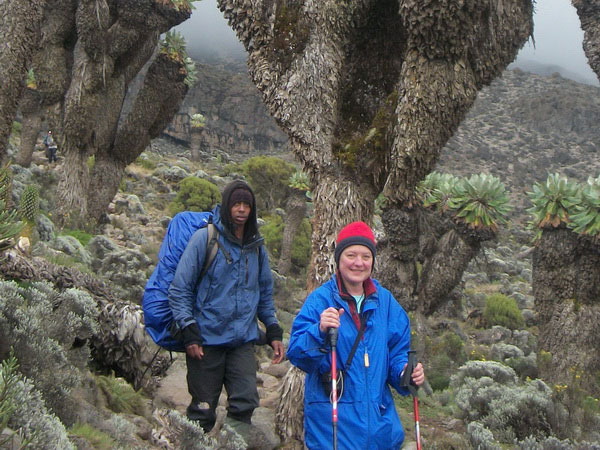 We prefer the Lemosho Glades route, as the acclimatization is more gradual. 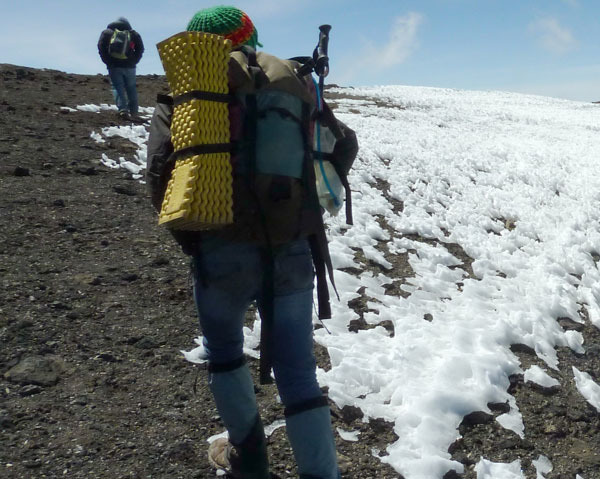 The motto "you get what you pay for", applies to all aspects of our Kilimanjaro climb service, beginning with the staff. Companies that pay their staff well not only attract the most experienced guides, but also demand higher standards of them. In taking care of our staff, we ensure that our climbers are being taken care of. We also ensure you that our porters have proper mountain footwear, clothing and sleeping gear. We also employ a permanent staff of core porters with certain duties they are trained meticulously on, including of course the cooks, waiters, campsite managers, first-aid carrier, and toilet crews. Then, we simply have better camping equipment than other companies, and replace it more often. We retire our Mountain Hardwear Trango 3.1 mountain tents after two seasons of use...our new tents have zippers that work, are more weatherproof, etc... We use the best equipment available, from our own large customized dining tents, & toilet tents to backed chairs and dining tables, thick closed cell sleeping mats and customized ground sheets under the tents, then we offer high quality rental gear like oft-replaced synthetic sleeping bags, Gore-Tex outer wear, warm layers, trekking poles...everything. Next, we provide safety equipment such as oxygen bottles, a hyperbaric chamber (on the treks which sleep in Crater Camp), and AED portable defibrillator (on the treks which sleep in Crater Camp), pulse oximeters, stretchers which convert into rigid litters, cell phones for all guides, VHF handheld radios and even satellite phones for emergency comms. Moreover, we have a team of guides who are trained in emergency medical response. Our head guides are all certified with the NOLS Wilderness First Responders training, an internationally recognized and accredited medical rescue training organization. These things you don't notice if everything goes well on the trek, but matter enormously if something goes wrong. Lastly, our food, both in initial quality and preparation, is top notch. We have our own specially detailed menu for every trek, and annually we spend great energy training our cooks to prepare and provide safe, nutritious, tasty food to keep you going throughout your trek. Your expectations will be surpassed with what we can provide with only using gas cookers.